You’re reading novel The Demonic King Chases His Wife: The Rebellious Good-for-Nothing Miss Chapter 1189 online at LightNovelFree.com. Please use the follow button to get notification about the latest chapter next time when you visit LightNovelFree.com. Use F11 button to read novel in full-screen(PC only). Drop by anytime you want to read free – fast – latest novel. It’s great if you could leave a comment, share your opinion about the new chapters, new novel with others on the internet. We’ll do our best to bring you the finest, latest novel everyday. Enjoy! Very quickly, a thin layer of sweat appeared on Su Luo's face, the sweat condensed into bigger droplets and rolled down. Now, Su Luo's face was very red, red like clouds of fire burning intensely. Her body's temperature was frighteningly high, even though Beichen Ying and Zi Yan were three meters away, they could still feel the heat due to her temperature. Su Luo clenched her teeth to bear the pain, with cracking sounds coming from her mouth. She almost grinded her teeth into pieces. She felt as if she had been hoisted on a frame and was being baked by the fire, bursts of scorching pain coming from her entire body. The violent pain had settled into her four limbs and bones until it reached the depths of her heart. Towards the end, her body was almost numb. She couldn’t give up! 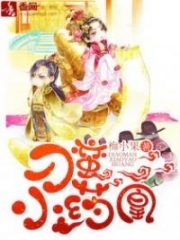 Nangong Liuyun was still waiting for her to fuse with the Scarlet Blood Ningpo Figwort to save him ah! Su Luo had a strong intent in her heart. She did everything to endure the inhuman pain. Su Luo barely managed to circulate a part of her spirit force, making the boiling blood compress slightly, lowering its temperature. For every circulation her spirit force completed, Su Luo could clearly feel her body getting stronger. Although if felt like she was suffering death by thousands of cuts, Su Luo's lips still curled up into a satisfied smile, because she finally found the way to break through. Her Nangong could be saved. Along with the pa.s.sage of time, the boiling blood gradually cooled down. Now, it was barely lukewarm, flowing in Su Luo's body like a lively spirit, infiltrating into her bones and muscles, strengthening them bit by bit. The originally flushed skin gradually returned to a sparkling, translucent and jade-like complexion. The boiling blood calmed down, transparent spirit energy flowed out of her in ripples, enveloping Su Luo in a cloud-like mist. Suddenly, a slight fluctuation could be felt in the air. "This is…" Beichen Ying's eyes opened wide in surprise. "Breakthrough?" He and Zi Yan looked at each other speechlessly. The master of the Nine Different Palace Halls looked at Su Luo gloomily, releasing a heavy sigh. Such a brilliant seedling and he couldn't use her. Originally, he had to destroy it, but then, he promised Seventh Young Master… this treacherous and cunning master of the Nine Different Palace Halls, just thinking of it, he felt tangled. Su Luo sat there cross-legged, surrounded by spirit energy, a peaceful, calm and satisfied smile appearing on her face. That's right, just now, she had broken through to the seventh rank. In a short two years' time, from being a waste material at zero to seventh rank. Su Luo had created an unprecedented miracle on this continent. Just when everybody was looking with eyes opened wide in disbelief, an even stronger fluctuation came from the air! "This… who is breaking through?" Beichen Ying looked all around and only saw their group of people present. "it seems to be…" Zi Yan's slender finger pointed to Su Luo incredulously. The two of them were suddenly left speechless. She just broke through one rank, now, she broke through another rank? 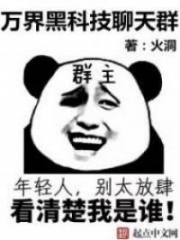 Wasn't this… now, shouldn't Su Luo have reached the eighth rank???!!!! A short two years' time, from zero rank to eighth rank? Beichen Ying looked like he was struck by lightning, he stood in place in a daze, with eyes staring blankly at Su Luo. Zi Yan also thought this was unreal, but when she recalled Su Luo's natural talent, very quickly, she feel relieved. "I really admire Third Senior Brother's eyesight ah." Zi Yan gave a thumbs up in approval. At that time, Su Luo was still a good-for-nothing, but his perception told him she was a pearl. From a pile of broken rocks, he picked out such a precious jadeite. Such a strong innate talent and breakthrough speed, Zi Yan realized she had never heard of it. The gaze the master of the Nine Different Palace Halls used to look at Su Luo was even more tangled, now, his heart still held a thread of lucky hope. He was betting that Su Luo didn’t know the treatment method. Surrounded by spirit energy, one could not see Su Luo's face clearly. 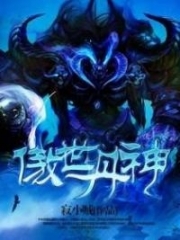 You're reading novel The Demonic King Chases His Wife: The Rebellious Good-for-Nothing Miss Chapter 1189 online at LightNovelFree.com. You can use the follow function to bookmark your favorite novel ( Only for registered users ). If you find any errors ( broken links, can't load photos, etc.. ), Please let us know so we can fix it as soon as possible. And when you start a conversation or debate about a certain topic with other people, please do not offend them just because you don't like their opinions. You're reading The Demonic King Chases His Wife: The Rebellious Good-for-Nothing Miss Chapter 1189. This novel has been translated by Updating. Author: Su Xiao Nuan,苏小暖 already has 10499 views. Current Time is Apr-22-2019 22:54:32 PM.